Goodbye shorts, hello roll neck jumpers! Although not everyone likes the colder weather, we can all appreciate that autumn/winter fashion is just waaaaay better than summer clothes. Jumpers, boots, chunky scarves cosy coats; there is SO much more to choose from. Carving pumpkins, scare attractions, dressing up, scary movie nights. 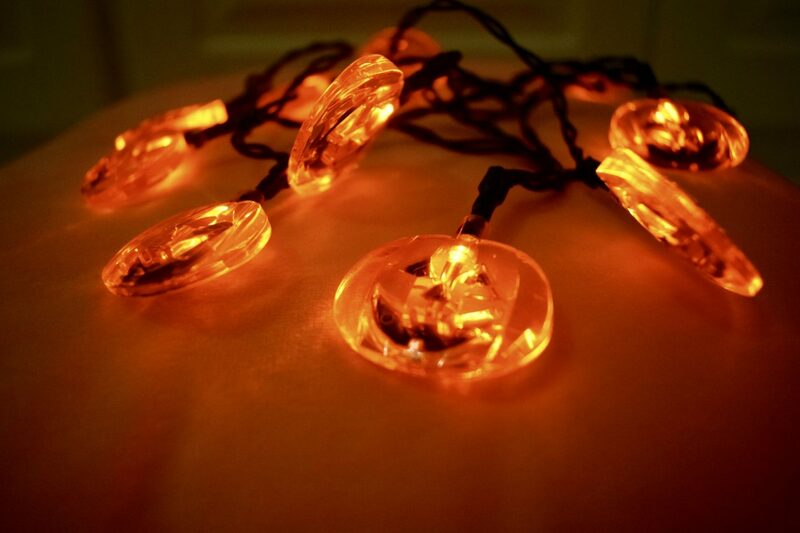 And yes I already have pumpkin fairy lights up in my room. ‘Tis the season to be spooky. In general, TV is so much better during autumn/winter. Whether it’s X Factor, Strictly or zombies, there is more on our screens to enjoy. The Walking Dead comes back towards the end of October and I cannot wait. The last season wasn’t the best, but I have high hopes for the 100th episode and can’t wait to see some zombies tearing human flesh apart. During the summer, we feel as though we need to make the most of the weather (although in reality there is only one hot week and the rest of the time it’s 17 degrees and cloudy). So we spend our weekends in pub gardens and rooftop bars sipping an overpriced Aperol Spritz as we shiver slightly as we left our jackets at home as we stupidly thought August would be warm. But now the temperature is dropping and it’s getting dark earlier, so we can save money on overpriced beverages and embrace our inner grannies. Saturday nights in will consist of Domino’s, 5 episodes of Narcos and ALL the fluffy blankets and cosy pjs. Hell yeah. The 5th November always makes me reminiscent of being a child. Wrapping up in a scarf hat and gloves and being handed a sparkler (which used to slightly terrify me) and looking up in awe at the fireworks. Now, whenever I go to a fireworks display, I never wear enough layers, it’s always a lot muddier than I expected and all I can smell is the burger van. But I kinda love it. Aside from the fact orange, yellow and brown tones are totally aesthetically pleasing nothing quite beats that satisfying feeling of stepping on fallen leaves and hearing them crunch. It’s time to replace those smoothies and salads which were helping to get us beach ready with all the cosy carbs and hot chocolates. And we may not have washboard abs, but we do have woolly jumpers to cover up any extra biscuits we’ve consumed. It’s now cold enough to have a hot bubble bath without coming out looking like a tomato and feeling like a hot mess. And not to mention Lush’s Halloween products are THE BEST. So grab your sparkly pumpkin bubble bar and enjoy a long hot soak in the bubbly goodness. The upside to it getting darker earlier, is using all the candles and twinkly lights to make your home look so magical that it could even make Hogwart’s Great Hall jealous. Those muggy summer evenings mean you have to be at least 10 inches away from your partner at all times whilst going to sleep. Even a simple hand hold can be too much for the tiny half broken fan in your room to cool down. But now it’s time to snuggle up as heating bills can be pretty expensive. The best time of the year is fast approaching. What better reason to welcome Autumn?